For those wondering just how Adam Catzavelos would respond to South Africa’s uproar regarding his racist viral video, you now have your answer. “I have caused unspeakable pain to every single person in South Africa,” began the first official statement made by Catzavelos after said video was published to Twitter on Tuesday. 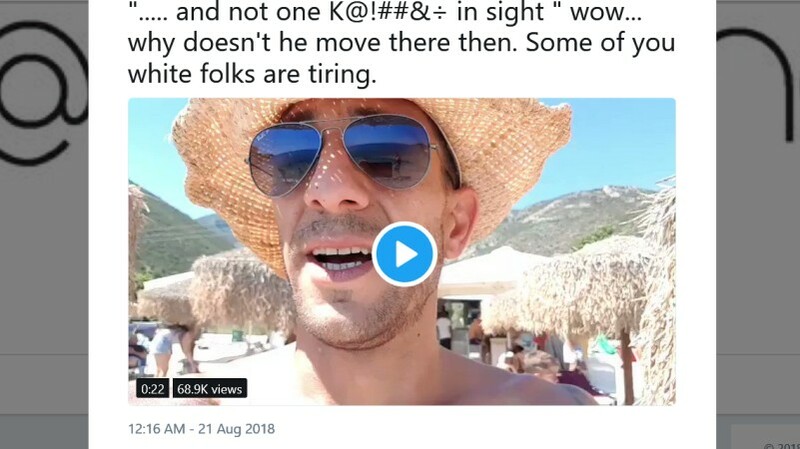 The video depicts Catzavelos using a racial slur on a beach while delivering a weather report. Not “one k***** in sight”, he notes in the video. The clip and the resultant anger became one of South Africa’s biggest stories on Wednesday, spawning a new meme, and prompting the likes of the EFF to press charges. 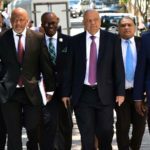 In the statement, which was obtained by multiple news outlets late Thursday, Catzavelos admits that he was “thoughtless and insensitive and [showed] a complete lack of understanding” for South Africa’s past struggles. “I have watched my video and feel total shame,” he adds. He also called for his comments to not be seen as a “reflection of others”. “I love South Africa and am proud to have lived in such a beautiful and diverse country,” he continues. He uses the final two paragraphs to apologize “unreservedly for the hurt and harm caused”. “To my family, my mom, dad wife, brother and sisters and my children who mean the world to me, I am so, so sorry,” the statement concludes. Social media however isn’t quite buying his statement, calling it “hollow” and noting he doesn’t admit he was using racial slurs in his video. “This apology from #AdamCatzavelos rings hollow. No clear admission that his speech was racist and that he is a racist. Mxm,” tweeted author and radio anchor Eusebius McKaiser. This apology from #AdamCatzavelos rings hollow. “‘I am sorry for getting caught’ is basically what this supposed apology says,” wrote another Twitter user. “You are not forgiven. Your apology is not accepted,” penned another. #AdamCatzavelos You are not forgiven. Your apology is not accepted.